Saudi Arabia today unveiled the design of its Expo 2020 Dubai pavilion, which will be second in size only to that of the UAE pavilion, covering an area the size of two football pitches. The distinctive pavilion symbolises the nation’s welcoming character, long heritage and unlimited drive, said a statement. The facade opens like a large window into the future, soaring into the sky and reflecting a society deeply rooted in its culture with unlimited ambitions, it added. Balancing the richness of the nation’s history, culture and natural wonders with the boundless energy and creativity of its people, the pavilion will give visitors an immersive experience of the kingdom’s transformation, it said. 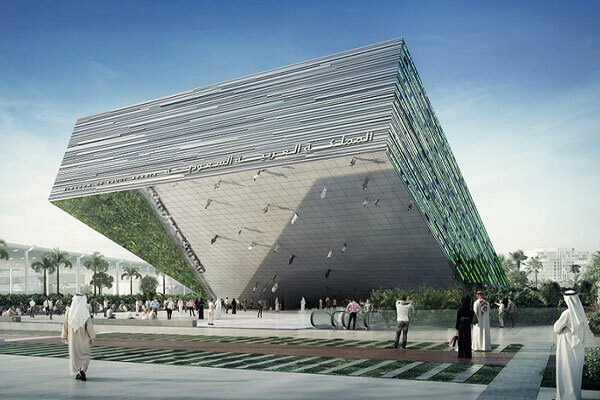 “This extraordinary and innovative design perfectly captures the determination of the kingdom to fulfill its promise of being an ambitious nation while conveying a message of dynamism and partnership with the world,” said Mohammed Al-Tuwaijri, Minister of Economy and Planning and chairman of the supervisory committee for Saudi Arabia’s participation in Expo 2020 Dubai. “All Saudis can be proud of the vision that this ground-breaking pavilion will deliver to the world, and we look forward to inviting global citizens to share in the exciting story of our thriving and vibrant society,” he said. Construction of the pavilion, designed by Boris Micka Associates, began in early February 2019. The structure will be instantly recognizable to visitors to the Expo site and a point of attraction that will spark their interest to explore further, the statement said.